My favorite sandwich isn’t one on the menu at a deli. It’s not one my Grandma made for me or a favorite of anyone else I know. It’s my favorite because I “invented” it somewhere between 3rd and 5th grade. That’s right. The sandwich I’m about to describe is one my young mind came up with from the ingredients in our refrigerator. The details on why I created my favorite sandwich escape me now. I’m guessing I was hungry and just wanted something for lunch… but it is the first original kitchen creation of mine that I remember. Ready for the “recipe”? Here you go! Start with two slices of wheat bread and lightly toast. Not too dark. Just toasted slightly. Sure, I could’ve skipped this step but at the time it made me feel like I was actually cooking. Spread Miracle Whip on both pieces of toast. I have to say that now I’ve grown into a regular mayo guy. I like the kind with olive oil and can’t remember the last time I actually bought Miracle Whip. I don’t think my girls have ever had it… at least not at home… but for me growing up there was usually a jar of Miracle Whip in refrigerator so that’s what I used on my sandwich. Now, add some shaved ham. I’ve tried it with ham slices before but it’s just not the same. Shaved ham was a household staple growing up. It’s the only lunch meat I remember having at home. Not bologna or turkey. It was always shaved ham. Top the ham with slices of fresh cucumber. I’m sure the cucumber I used the first time I made this sandwich came from my Grandparent’s garden. Sprinkle a little salt on top of the cucumber and add a little bit of fresh ground pepper. I know a lot of kids probably aren’t big fans of pepper but I liked it because it seemed “fancy”. I always thought it was cool when I saw the waiters adding it too salads table-side the few times we ate at Red Lobster. The sandwich is almost finished. Put the top on and cut it into large triangles. Eat it with some chips and you’ve got yourself a great lunch. It might not be best tasting sandwich ever… but it is my favorite sandwich! 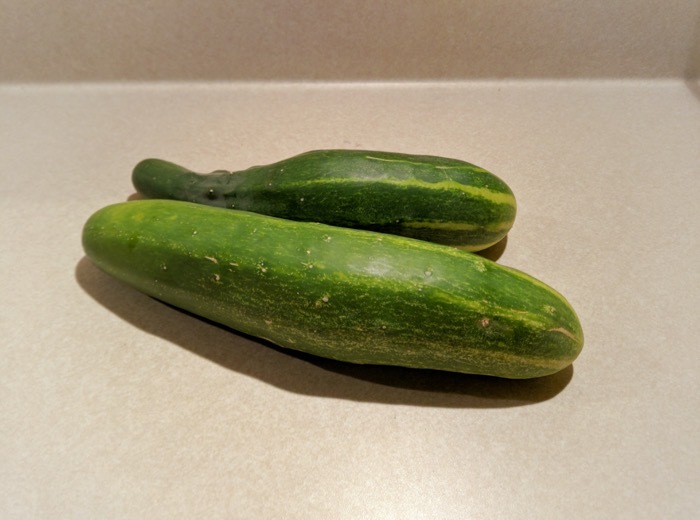 It’s part of the reason we plant cucumbers in our garden each summer. 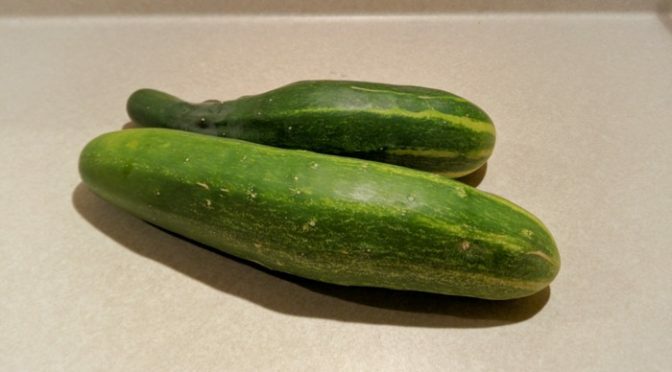 We still have a few cucumbers left from our last harvest. Maybe I’ll have to make “my sandwich” for my girls and see what they think. Bet they won’t like it as much as I will. Did you ever create your own signature sandwich when you were a kid? What did you put on it?